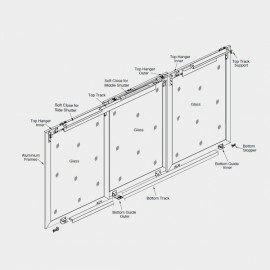 Specially designed for three overlay top running Aluminium Profile Glass Shutters. Soft Close function allows the shutter to close in slow motion without banging. 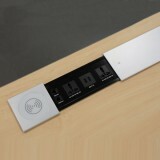 Compatible with 'ebco' aluminium shutter profiles code nos. :- GSP1 4-55 & GSP1 4-50. Max. load upto 50 kgs / shutter. Fit the Top Hanger Outer to the inner face of the Outer Shutter & Top Hanger Inner to the inner face of the Inner shutter as shown in Fig 1. 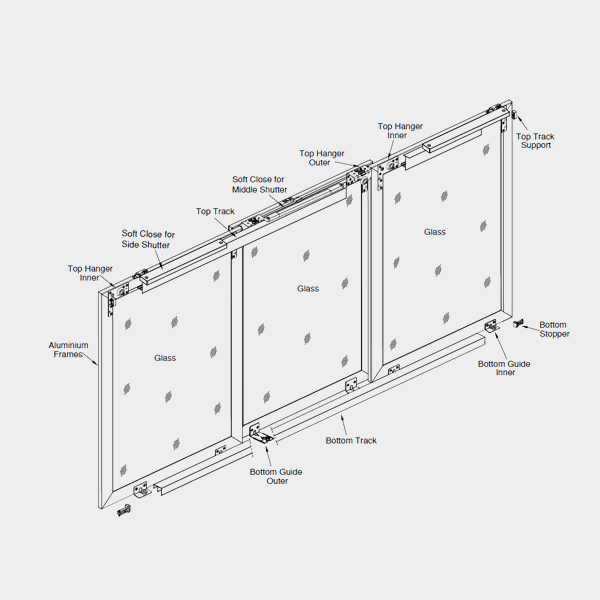 Fit the Bottom Guide Outer to the inner face of the Outer Shutter & Bottom Guide Inner to the inner face of the Inner shutter as shown in Fig 1. Fit the Bottom Stoppers as shown in Fig 2. 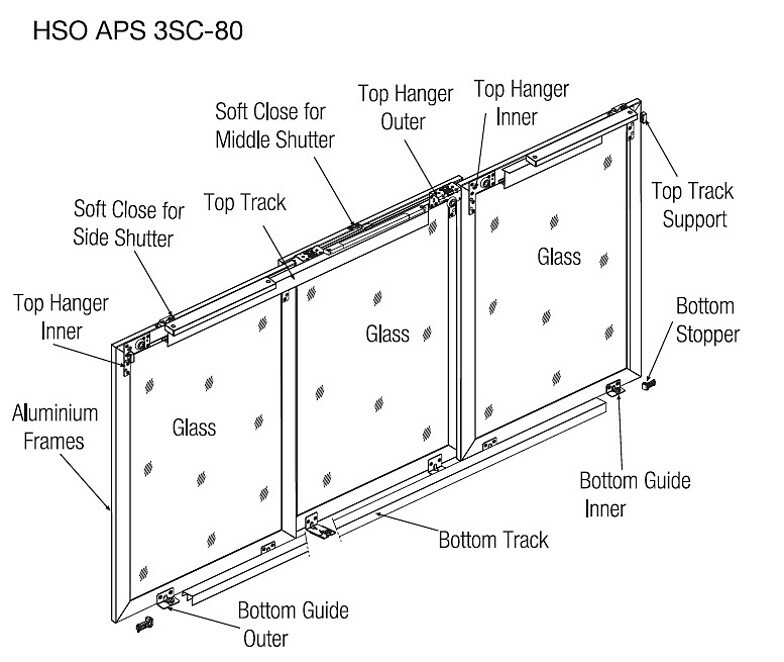 Fit the Soft Close Assembly to the side shutters as shown in Fig. 3. 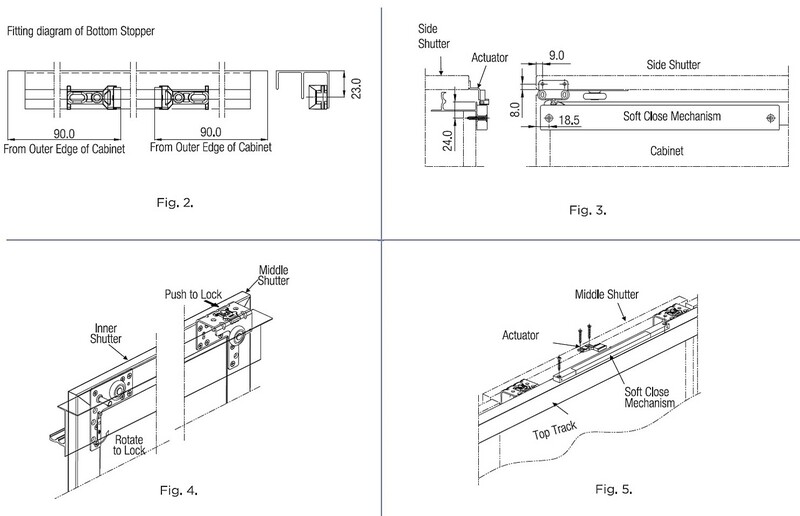 Hang the shutters to the top track & Lock the shutters as shown in Fig.4. 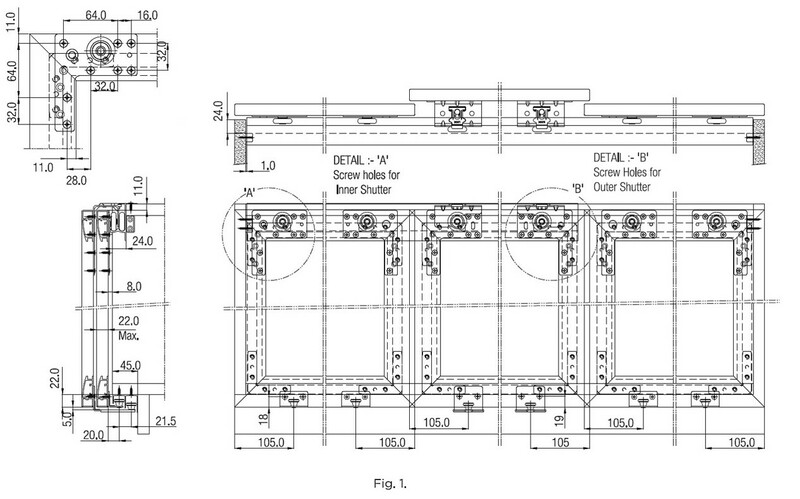 Fit the Soft Close for Middle Shutter as shown in Fig 5.